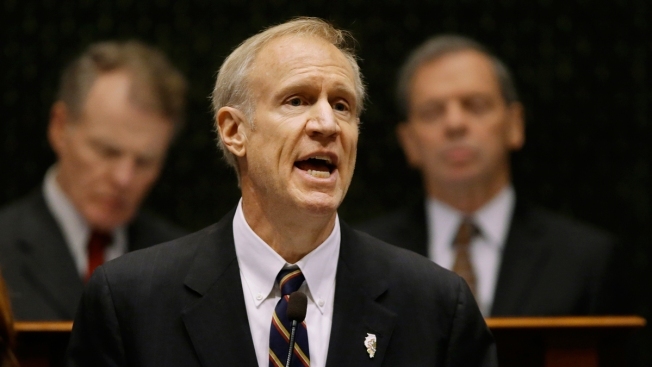 Illinois legislative leaders differed on the outcome of their latest meeting with Republican Gov. Bruce Rauner. But there was no budget agreement Saturday in Chicago. Democratic House Speaker Michael Madigan says in comments distributed by the Illinois Department of Central Management Services that there was no budget discussion. He says the group discussed cost-cutting workers' compensation changes and Rauner's Thursday veto of legislation providing $215 million to the Chicago Public Schools for a teachers' pension payment due in June. Senate GOP leader Christine Radogno and House GOP leader Jim Durkin say the group is "close to common ground" on workers' comp — an issue Rauner has tied to the budget. A spokesman for Democratic Senate President John Cullerton says Cullerton continues to "advance solutions." The group meets again Sunday.